CHRISTIAN nurses have warned of the traumatic effects of abortion on patients, their families and the wellbeing of medical staff called on to conduct them. They have spoken out after the Queensland Nurses’ Union entered the abortion debate by supporting a proposed bill to make abortion legal in the state. 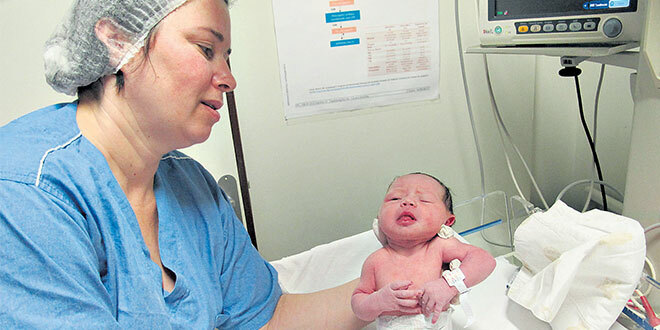 Experienced midwife Marita De Jong, who works in a Brisbane public hospital, described the distress of nursing colleagues already witnessing the death of babies. “The trauma for professional staff is when they are born alive and still fighting for life,” she said. “This would be babies at 19-20 weeks where a termination drug has been given, but they are still alive. Ms De Jong said witnessing such events had been tough for nursing colleagues. “A baby born dead is one thing. When you can actually save them it is hard on everyone’s mental health to expect them to be part of that,” she said. The Queensland Nurses’ Union has recommended Queensland’s Parliament pass the Abortion Law Reform Amendment Bill. In a submission to the parliamentary committee inquiring into the proposed bill, the QNU stated its support for decriminalising abortion by removing the relevant sections of the Criminal Code. “The QNU Council resolved that women’s reproductive and fertility rights are a health matter consistent with United Nations’ endorsements,” QNU secretary Beth Mohle said. The union represents 53,000 nurses, midwives and assistants in nursing who are employed in public and private hospitals and health care clinics. The QNU submission states: “We support the Australian Medical Association’s (AMA) (2014) position that women should have access to: legal and safe abortion; reliable, safe and affordable contraception; information and services to support adoption or maintaining a pregnancy; and appropriate sexual and reproductive health and information. QNU support for the abortion bill does come with a caveat. “We also support nurses and midwives who conscientiously object to involvement in any procedures which they judge on religious, moral or ethical grounds to be unacceptable,” Ms Mohle said. This caveat adds further concerns for some nurses. They asked how would it work in daily practice and if nurses who refused to assist in abortion procedures would be considered “not part of the team” and subtly ostracised in the workforce. View all 127 public submissions regarding the Queensland abortion bill. Cathryn Marshall, who has 30 years’ experience nursing in hospitals, said nurses refusing to be part of abortions would face difficult challenges. “If I was working in theatre I would just say ‘No, I cannot be part of this and these are my reasons’. I don’t know how that would be taken, but I would say that,” she said. “It’s a tough thing because regardless of my decision there will be someone who does that. It will not stop the procedure happening. Obstetrician and gynaecologist Bryan Kenny said the impacts of decriminalising abortion – on all hospital staff and patients – had simply not been thought through. “It’s also anaesthetic staff, nursing staff, hospital administrative staff, wardies, cleaners, everyone who may be forced to be involved in providing this as a service,” he said. “The Government’s elected representatives have had their opportunity to exercise their conscience when it comes to this vote; I think it would be quite reasonable for them to afford the same right to those who are going to have to actually deal with the outcomes of this legislation. “Simply removing from the criminal code goes no way to actually providing any significant support for women in a situation where they need time, space and to make an informed choice. “The legislation or any legislation that replaces the current really should address all of those issues both in terms of the women themselves and all those who are seeking to help provide counseling. At the early pregnancy assessment unit in Brisbane’s Mater Hospital, nurses contacted by The Catholic Leader were confident the proposed abortion legislation would not affect the work they do. However, they expressed concerns that nursing colleagues working at other hospitals, both public and private would find it tough working with legalised abortion. The Mater has issued a statement confirming its anti-abortion ethos. “As a ministry of the Catholic Church operating within the traditions and ethos of the Sisters of Mercy, Mater is guided by the Catholic Health Australia Code of Ethical Standards and our position remains unchanged,” the statement said. The code states that “… Catholic Health facilities should not provide, or refer for, abortions, that is procedures, treatments or medications whose primary purpose or sole immediate effect is to terminate the life of a fetus or an embryo before or after implantation”.